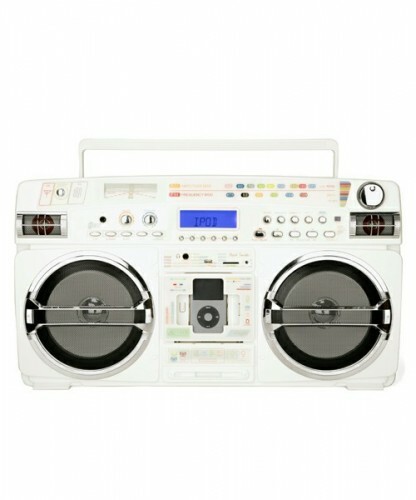 Paul Smith partners up with California electronics manufacturer Lasonic to produce an all white Lasonic i931x Boombox. Though not the first of its kind, the boombox continues to pay homage to the ’80s with uncompromising cutting edge technology. As with the same of its previous models, this collaboration results in a portable music system in its true retro shape, along with playback of MP3s via a USB port or an iPod dock controlled via a LCD display. In addition, the i931x Boombox still features the classic AM/FM radio. Weighing at 145 lbs and 255 by 144 by 65 inches, this collaborative venture will be released in early December for $5,199 HKD (approximately $670 USD) and available at Samplekicks.